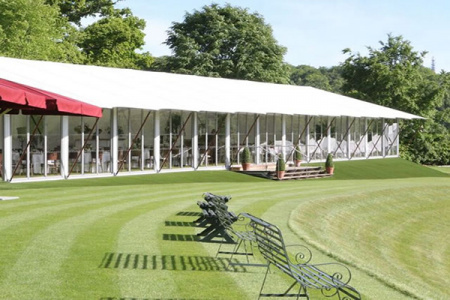 This Saturday Oxfordshire Cricket will be at the iconic Wormsley Estate to host the annual Chadlington Brewery T20 Finals Day, as well as the Performance Awards Ceremony. The Performance Awards Ceremony will be held for the first time in conjunction with our Chadlington Brewery T20 Club Competition Finals at the Wormsley Estate on Saturday 15th September. Prior to the Awards individuals will be able to watch and enjoy the T20 Club Finals Day with Banbury taking on Tiddington in the Wilf Bennett T20 Final at 11.00am and Horspath battling it out with Oxford Downs in the Bernard Tollett T20 Final at 2.00pm. Entry to the ground and parking is free of charge with refreshments available from the bar and barbecue (cash only). For those who have purchased tickets online for the Performance Awards, you will be given a ticket upon arrival. This year we are delighted to announce that Jack Brooks, the Yorkshire bowler and former Oxfordshire cricketer, will be making a guest appearance. We hope that you will be able to join us, on what is set to be an enjoyable day for all.